When was the last time you thought about your style? I mean, really thought about it? While it’s easy to think that style should be completely effortless, even the most style-savvy women constantly reevaluate their style. 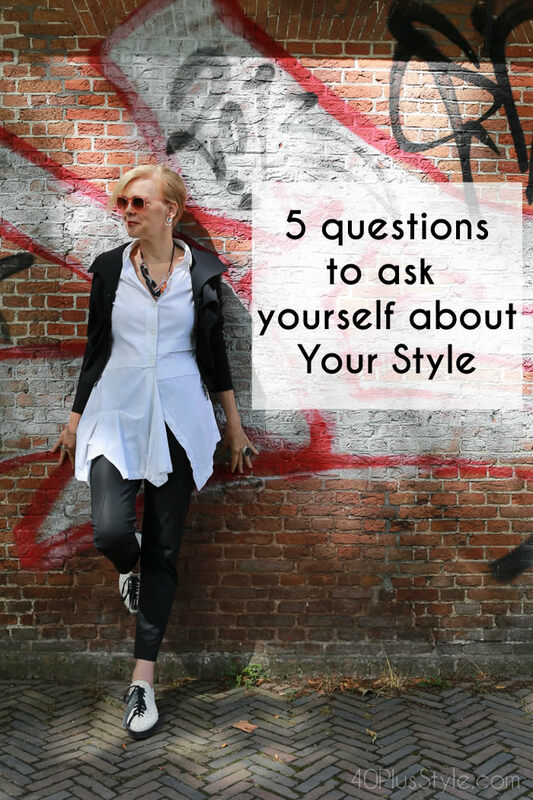 So, unless you’re absolutely 100% happy with your style and don’t think you could improve it in any way, here are 5 questions you can ask yourself about your style. 1. Am I happy with my style? How are you feeling most days about your style? Do you feel that your style reflects who you are? 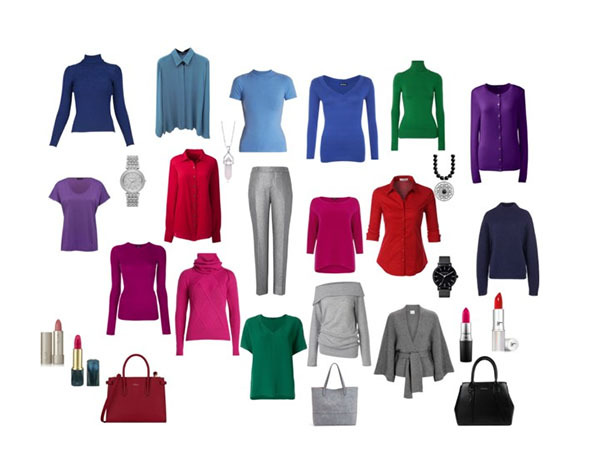 Do you find it easy to get dressed every day? Think about which parts of how you dress you like and which you don’t. Then you will be clearer on what you want to work on. 2. Do I feel confident when I walk out the door? It’s easy to dismiss fashion as something frivolous and, it’s true that fashion trends are ever-changing (to an extent). But, style is something different. It’s more about confidence. When you feel good about the way you look you will be able to present yourself in a more confident way. 3. Do I feel like me? I’m sure you, like all of us, like to engage in a bit of people watching. And, it’s great to take inspiration from stylish women you see in the coffee shop, in the airport, or on Instagram. However, their style is their style. That’s why they look so well put together. Does your own style make you feel like the best version of you? Or are you trying to follow trends which actually don’t reflect your own body shape and personality? Ultimately, you need to ask yourself whether your style feels like you. And that starts with understanding your own style personality. 4. Does my style suit my lifestyle? If you have a whole closet full of pieces that you very rarely wear, it is likely that your style does not suit your current lifestyle. For instance, you may have recently retired and be looking at how to dress for retirement, or started living a more casual lifestyle. If your closet is full of formal work attire, it’s going to be very hard for you to put together stylish outfits which suit your day-to-day life. I have to admit I’ve definitely been guilty of this one myself. I went through a phase of buying far too many evening dresses simply because I loved them, when my daily life is spent on the school run or working from home! I’ve definitely made a point now of adding more casual options to my closet. I still buy those dresses, but I make sure they can also be worn as day dresses that I can wear with sandals and sneakers. 5. Am I stuck in a style rut? 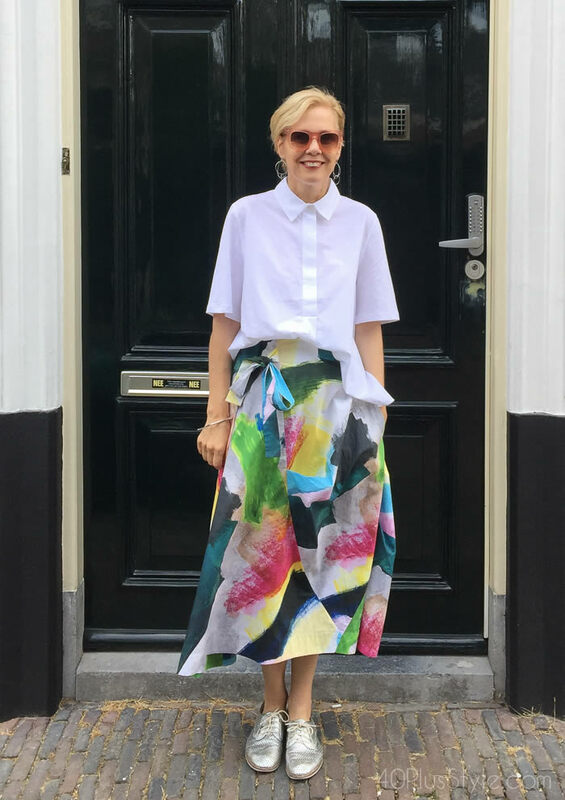 There are so many reasons you might get stuck in a style rut, and if you’re wondering if you’re in one you may like to check my article on how to get out of a style rut! If you find yourself at a loss because you simply don’t know what suits you anymore so you end up wearing the same old things time and time again, then you probably are stuck in a style rut. Another telltale sign is if you do go shopping, you end up purchasing pieces which are very similar to items you already have in your closet. But, the good news is you really don’t have to stay in that rut! If you like to like clearer on these questions or you just want to have more fun with style again, you may like to join our Find Your Style Challenge which starts on November 20. For now, I would love to hear from you! Are you happy with your style right now? 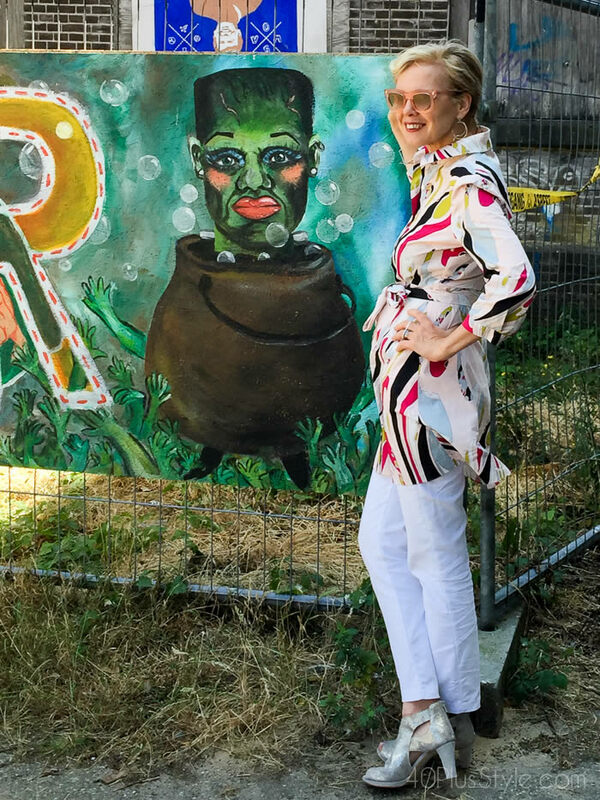 I turned 46 this week, and I have to say that–in large part thanks to this community and the advice and tips I’ve learned here–I am finally REALLY happy with my style. The outfits I’ve worn for the past three days, in fact, are among my favorite outfits I’ve ever worn: I feel cool, I feel confident, I feel like myself. And when I go to my closet now, I think “I love my clothes!” And when I look in the mirror, I think, “I look how I want to look!” It’s pretty amazing and transformative. I’ve cared about style my entire life but I think I was always following rules that didn’t suit me, or letting myself be subject to trends or influences without identifying my own signature style first and foremost, or buying things because they were affordable but not because they were me. I’m so glad to be in this new phase of my life! That’s so wonderful to hear Arielle! These are great questions, Sylvia. Your website has definitely helped me along. It’s funny, but I am happier with my style now in my mid-50’s than ever. I’ve grown bolder and more self-confident with age, and I have more fun with clothing. That’s wonderful Julia. Great to read that my site helped you with that! Great ideas! Also, try a book called “Color me beautiful ” by Carole Jackson. You ‘find out what colors look best on you ( I’m a Winter who looks best in deep jewel tones ) I get compliments all the time on my colors and style. . Im 5’3, size 10-12, and found a style that works for MY body, not someone else’s. Even at 60 years old I still like to look modern, and attractive. Most people think im in my mid to late 40’s, they can’t believe I just turned 60 ! Confidence in how you look and feel is the best !!! “Confidence in how you look and feel is the best !! !” That’s it. Wonderful to know that that is a reality for you ! I’m happy about my style…but very unhappy about FINDING the styles I like. With the exception of beautiful winter blazers, I can’t find SUMMER CLOTHES designed for older pears. T-shirts are EXTREMELY unattractive on female pears. And the sleeves on most summer tops are cut INWARD…towards the neck, instead of towards the shoulders…making our upper bodies look even smaller than they already are proportionally. Summer necklines are frequently just round…another unattractive feature, especially on older women. Where are the summer tops with HUGE, wide stand-up collars (bringing the emphasis up) or with sleeves that extend beyond our shoulders, creating the illusion of wider shoulders? No, instead we’re saturated with boring round necks and cuts that are too tight for our pear hip area. I love the striped top in the collage above. Do you know where I could purchase it? 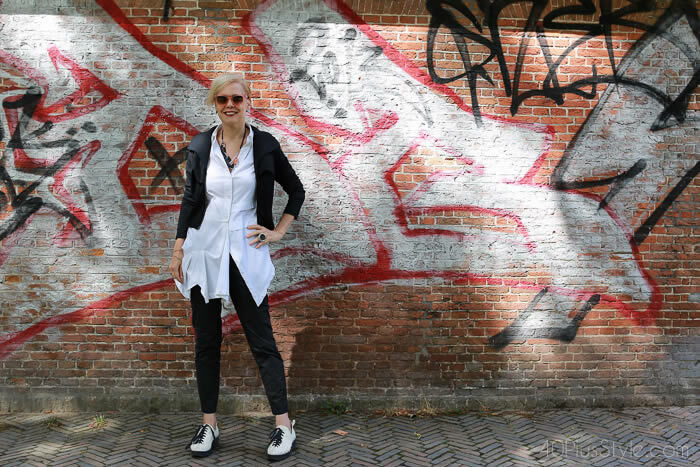 I’m 60 and I love my style! You won’t. I wear jeans, sweatpants, black or navy band and motorcycle t shirts, cat with attitude shirts, Chucks, boots, and hoodies. My fav has a skeleton and skull pattern. If forced to “dress up, I go goth or short lace dresses with Chucks. My hair is buzzed up the sides and long on top. It’s also purple.No makeup. I feel comfortable and I feel like me. I get compliments, especially on the hair. I have yet to find a single “appropriate” outfit that doesn’t feel like playing dress-up.Oh, I’m also fat. Whether I like your style is completely irrelevant. If you’re happy with it, that’s all that matters! My body shape dictates my style. Would I be wearing the clothes I wear today if my body were different? Some but not all. I was always slim but then menaupose happened and now at 66 I’m a large breasted apple. I can find pieces I like but it always comes back to what looks the best on my apple shape. Any other 20, or 30 something’s that just enjoy admiring these beautiful women “of a certain age”? 🙂 So classy!